I've been digitally archiving my photo albums. 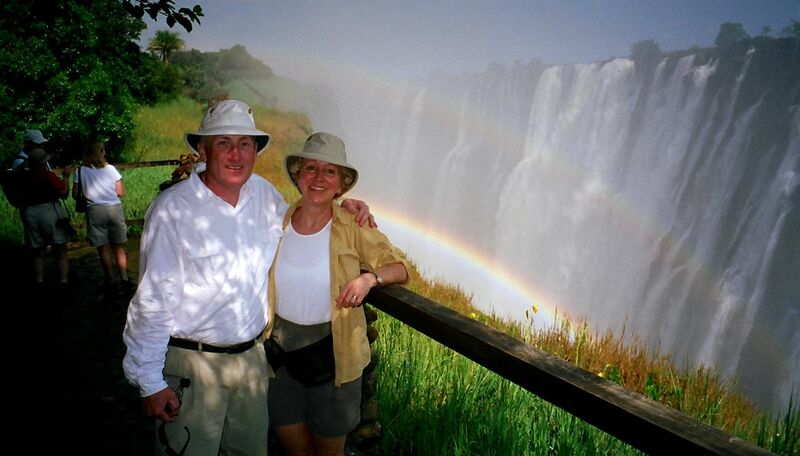 Here's a nice picture from the Zambian side of Victoria Falls. Labels: A rainbow across Victoria Falls in Africa. Victoria Falls is a town in the western portion of Zimbabwe, across the border from Livingstone, Zambia, and near Botswana. The town lies directly next to the falls. They are the chief attraction, but this popular tourist destination offers both adventure seekers and sightseers plenty of opportunities for a longer stay. It’s my good luck that I went there before my chinese tour bus. This was an amazing experience of my life that I have enjoyed over there. One should go there at least once in your life.